888 Poker & WSOP.com both have launched real money apps for iOS. Players from the State of New Jersey will now be able to play for real money on either the iPhone or iPad for both sites. All players need to do is load up the App Store and search for either “WSOP New Jersey” or “888 New Jersey”. 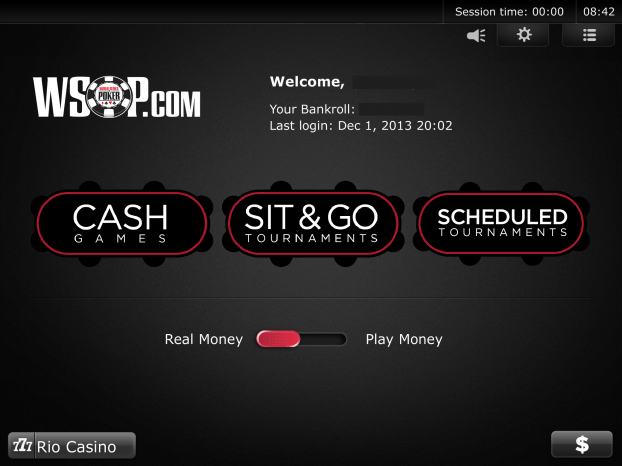 The WSOP.com & 888 Poker apps are identical in every single aspect except for the color scheme and branding. The apps do have a lot of things going right for them. The graphics are crisp and clean and they look good on both devices. The ability to search and find a game is very easy which is a huge plus. When I finally did get the chance to play on the app, I was overall impressed and I actually prefer playing on the iPad over the actual client software for the PC. Overall 888 Poker & WSOP.com are doing a lot of things right with the apps but at the same time it seems as though testing the product was not a priority. The launch of the apps are not without some series technical issues. It almost seems as though the apps were not actually tested by 888 & WSOP and instead just thrown up in the App store so they could say they were the first. 888 Poker was notified about the following issues but as of this article they have still not been fixed. 888 Poker App – When you login instead of using the 888 servers in New Jersey the app is actually using the WSOP game servers. That means players are not able to login. The reason I was able to figure this out is that after a few failed logins attempts I was emailed a temporary token. The token was sent from WSOP.com instead of 888 Poker and it did not work when I entered it. WSOP Poker App – I registered for the $10,000 Sunday and I did it all through the iPad app. When the tournament started the app did not bring me to a table instead it kept me on the registration page. I then had to get out my laptop to play.